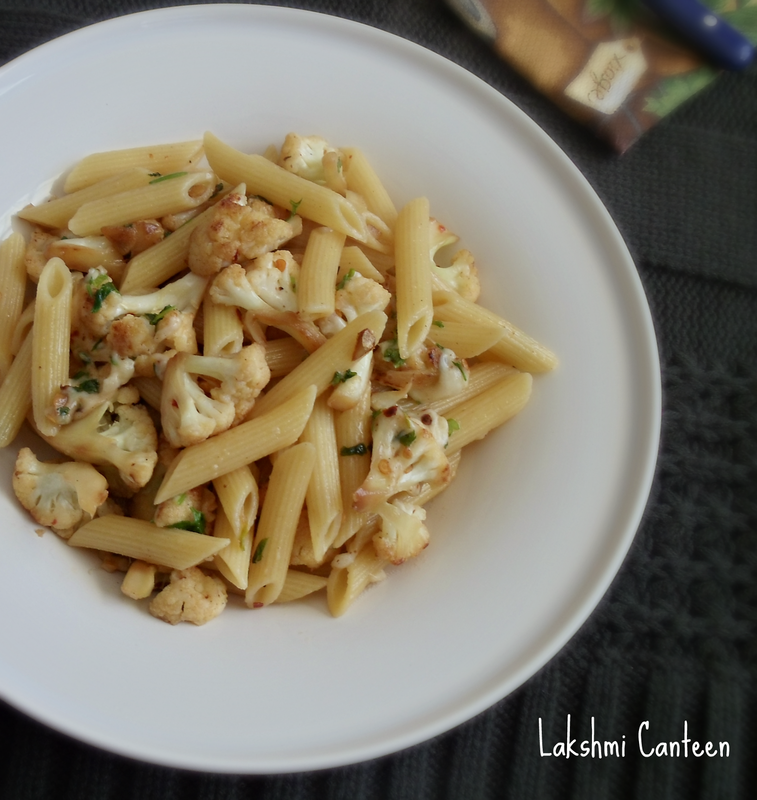 Roasted Cauliflower Pasta is a very simple, delicious pasta and if you are a cauliflower lover then this recipe is going to be a treat! My husband loves cauliflower. He always makes sure that I have a head of cauliflower in the refrigerator at any point of time! 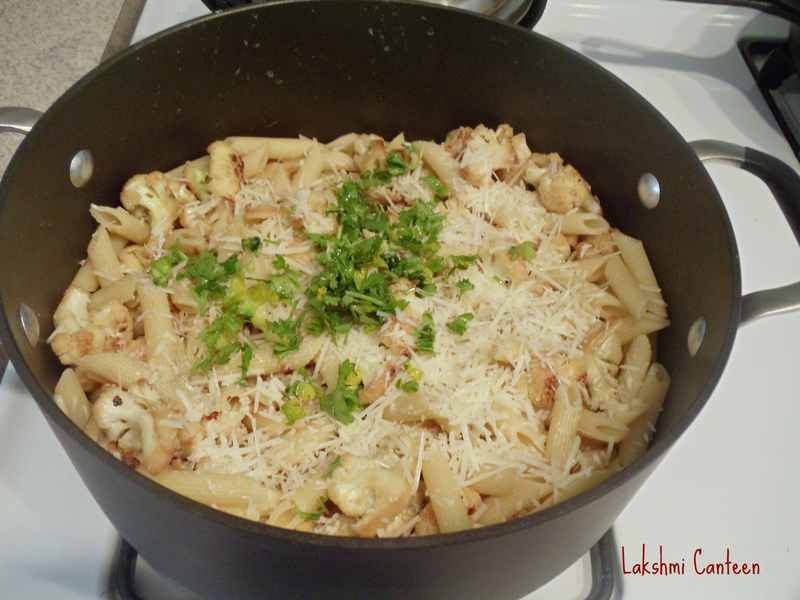 Few months back, I tried this recipe and we liked it a lot. I have been making it since then, with couple of variations. Recently my husband suggested to roast the cauliflower instead of cooking it in water (or stock). He wanted the florets to remain crispy. I did as suggested and to our surprise it turned out awesome and we enjoyed it a lot. Hence I decided to share this recipe. 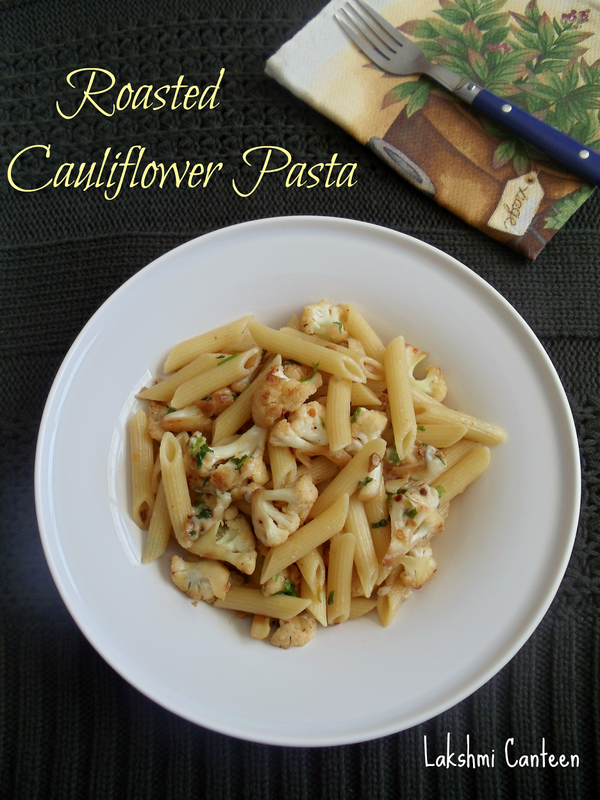 This pasta always reminds us of the awesome Cauliflower pizza of "Anthony's Coal Fired Pizza". Peel the garlic pods and slice it. 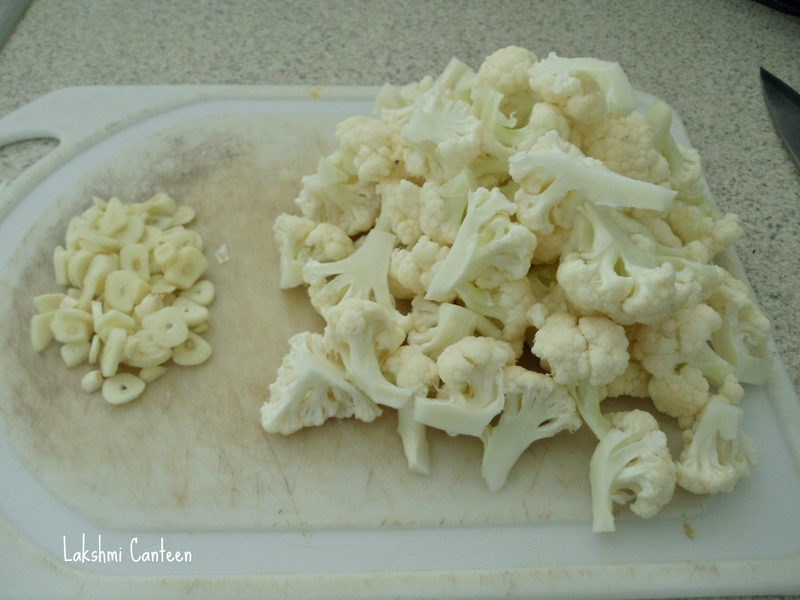 Then wash the cauliflower and cut it into small sized florets. 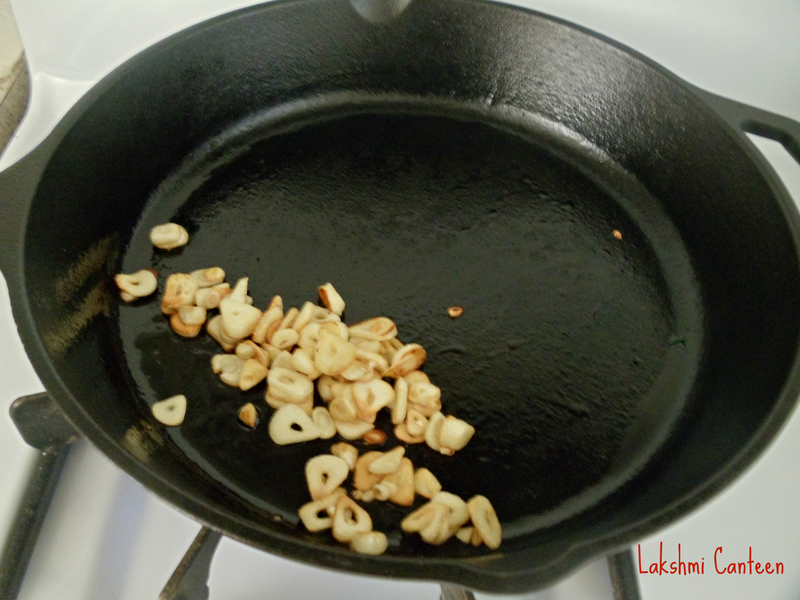 Now heat 1 tsp of olive oil in a pan and fry sliced garlic until it turns golden brown. Then transfer it to a plate. 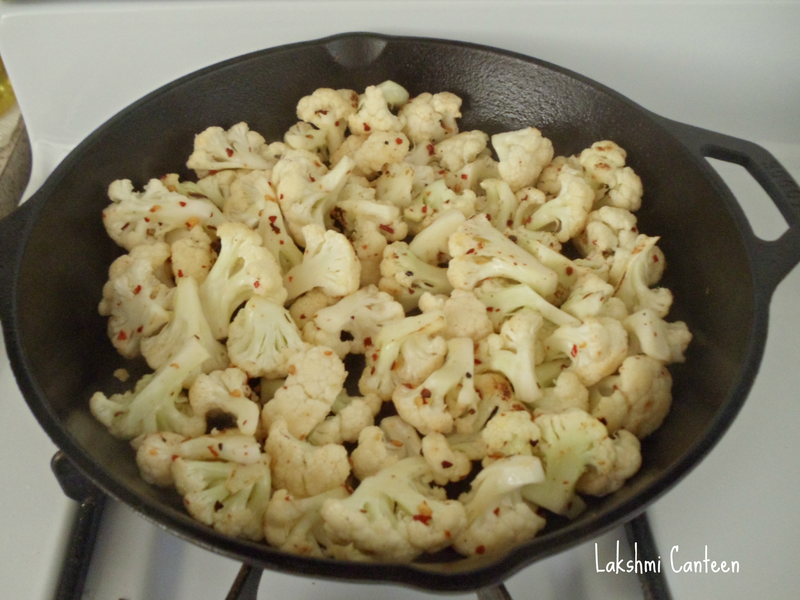 Now add the remaining olive oil in the same pan and add cauliflower florets, salt, pepper and red chilli flakes. Mix well and fry it on medium flame until it turns golden brown. 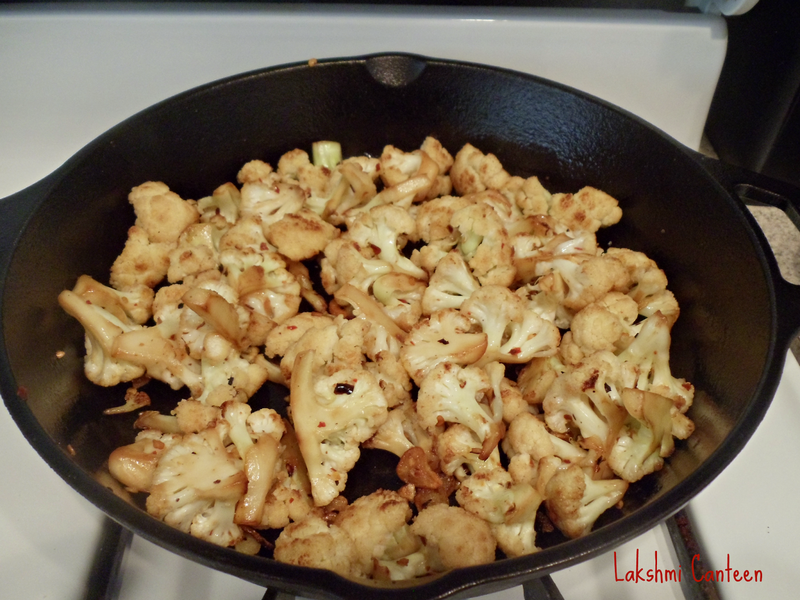 While the cauliflower is getting roasted, heat a big pot of water with salt. Cook the pasta as per the package instructions. 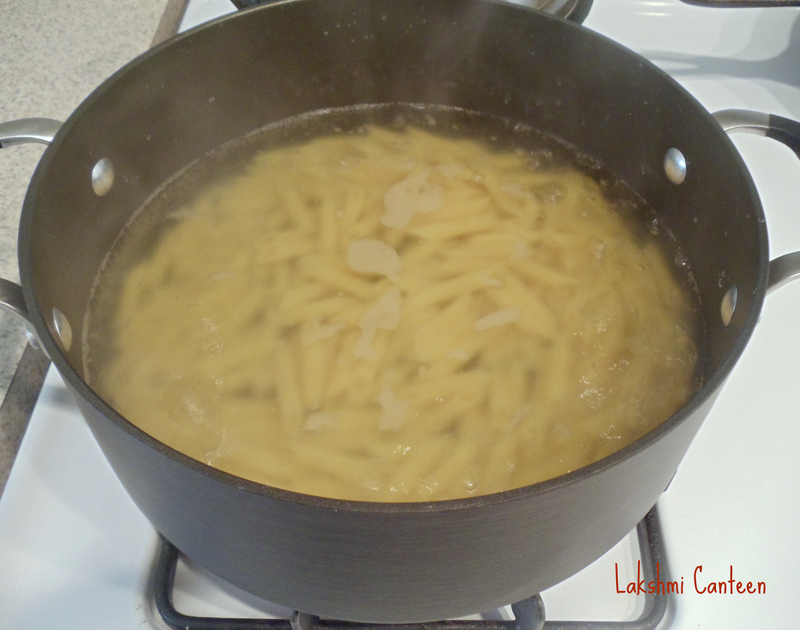 Once the pasta looks cooked, take 1/2 cup of pasta cooking water and set it aside. Drain the pasta. 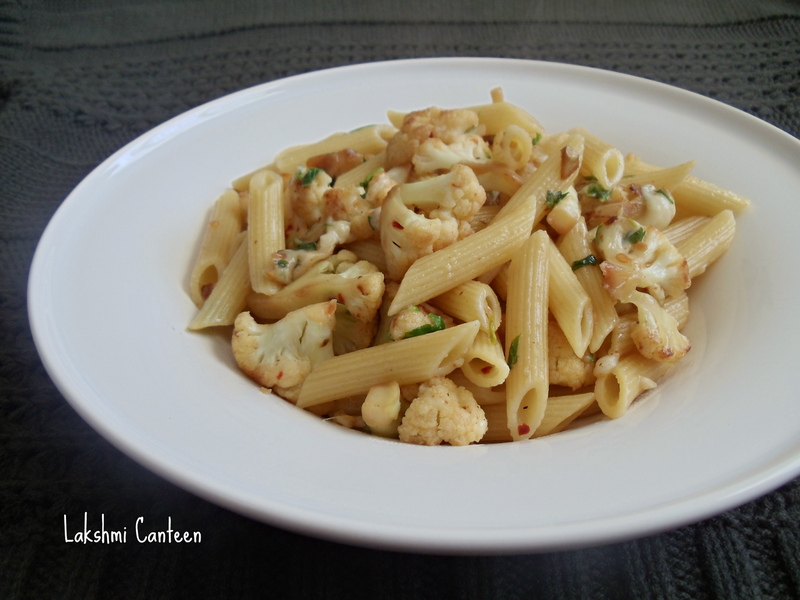 Now add drained pasta, fried garlic to the roasted cauliflower. Then add butter, little pasta cooked water, chopped parsley and grated parmesan cheese. Mix it well and cook the mixture for a minute or until everything comes together. Turn off the heat. 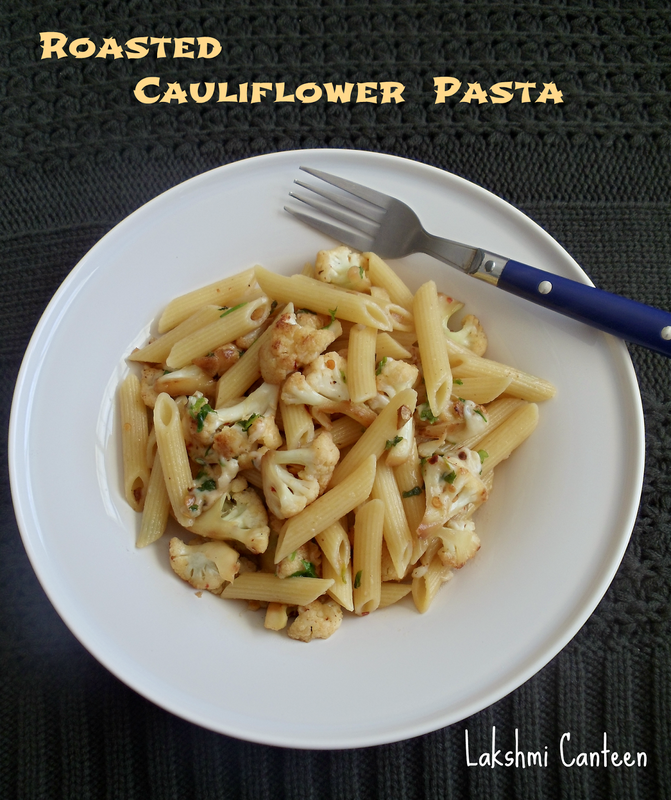 Roasted Cauliflower Pasta is ready!! Serve it hot. Above measurement serves two people generously. March 28, 2016 Update: Fry 3-4 Tbsp of 'Panko' breadcrumbs in a tsp of oil until it turns golden brown. Then sprinkle it right before serving. 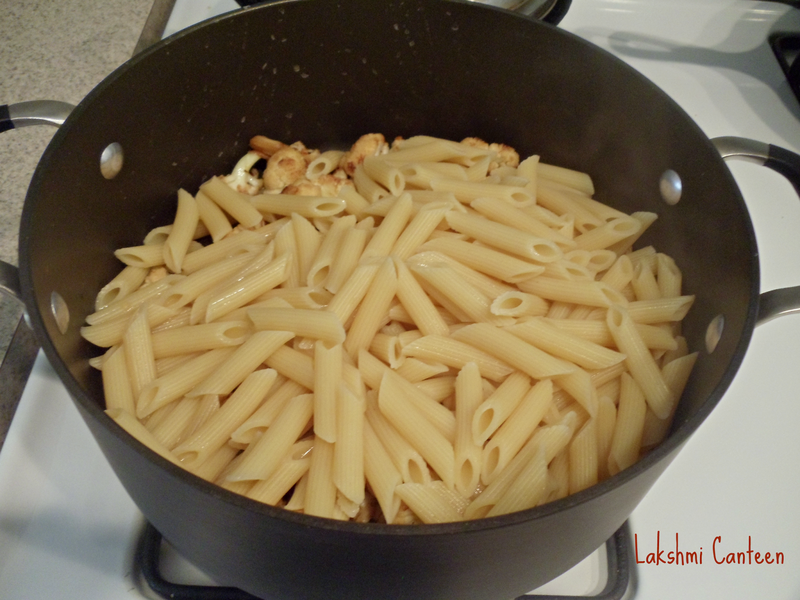 The bread crumbs adds a wonderful crunch and the pasta tastes much better.